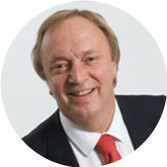 Qualifying in 1979, Robert, along with two partners, set up his own practice focussing on owner managed and family owned businesses in the SME market. At the heart of the practice was the belief that professional service organisations should understand both the personal and business aims of clients and proactively offer advice, support and guidance to help them achieve their aims. Robert has been involved in all aspects of strategic planning and tax advice, helping many businesses develop from small companies through to sale. In addition to running his own practice Robert has been heavily involved in the profession itself. Over the years he has been a council member of the ACCA, past president of the Manchester and District (ACCA) Society, past president of the Practice Society and served on various committees with the ACCA and the Auditing Practices Board (APB) and been an external examiner for the ACCA examinations at Liverpool John Moores University. Robert firmly believes that BTMR can truly help people and businesses create and protect their wealth through individual tailored financial tax and advisory services. 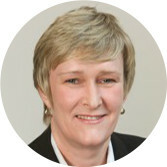 Susan joined Thomson Morley Jackson & Co (now BTMR) in 1990 as a trainee accountant and qualified as a Certified Accountant in 1992. Now a Director at BTMR, she is responsible for a large portfolio of family owned and owner managed businesses including partnerships and limited companies. Susan is recognised for her pragmatic approach and ability to present reports and advice to clients in plain English working with them to help achieve both their business objectives and personal goals. 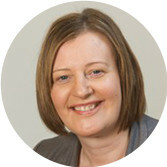 Kath is a Fellow of the Association of Chartered Certified Accountants, having qualified as a Certified Accountant in 1990 with Thomson Morley Jackson & Co, now BTMR Limited. As a director Kath deals with family owned and owner managed businesses delivering hands-on, pragmatic advice. She is involved in the design and delivery of services and works closely with clients to fully understand their business and their business aims. Kath is experienced in consultancy work in relation to business re-structuring, business sales and exit planning, personal remuneration planning and corporate tax planning. In addition she also provides advice and assistance with the implementation of accounting software packages and transferring from one package to another. As businesses grow and develop Kath will provide advice on strategic planning for business growth, incorporating and transferring businesses into a limited company.